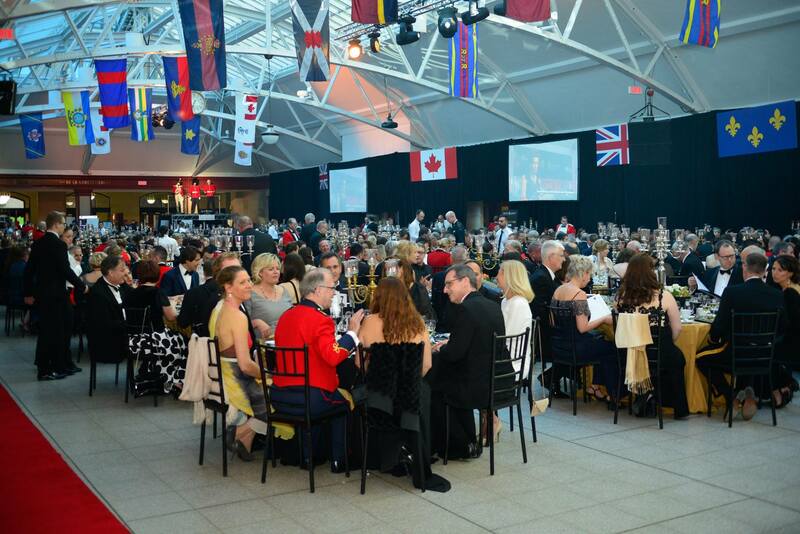 Mai 20, 2017: As president of the organizing committee for the Grand Military Ball, an event designed to underline the 375th anniversary of the City of Montreal, Me Latreille brought together at the Windsor Station close to 1200 guests including several known figures of the business and military communities of Greater Montreal. This great event, the first of its kind since the foundation of Montreal, was co-presided by the mayor of Montreal, the Hon. Denis Coderre, and by the commanding officer of the Second Canadian Division, Brigadier-General Hercule Gosselin. The Grand Military Ball meant to underline the important contribution of the military forces in the edification, defense, and evolution of our City from its foundation to this day. This prestigious evening also served as a fundraiser to generate over $200,000 to the benefit of the Centre des Ressources des Familles de Militaires de la région de Montréal. Somme 1200 guests took part in the Grand Military Ball , Windsor Station.